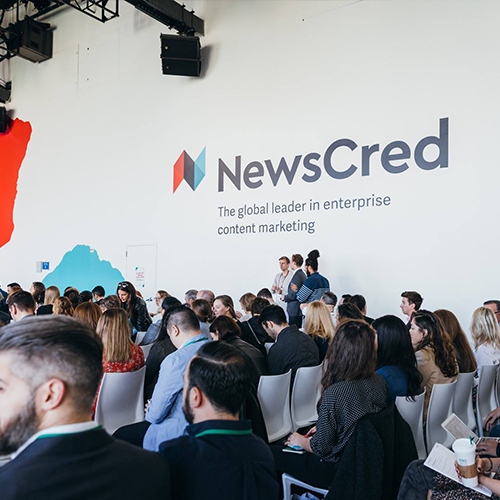 NewsCred's ThinkContent is an annual marketing conference held in New York City. 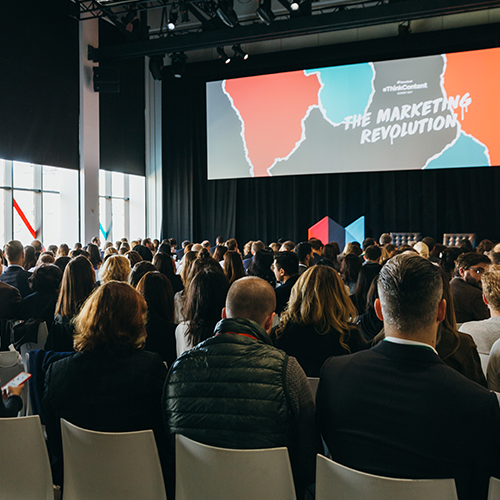 2017's event hosted hundreds of director-level marketers and featured keynote speakers from renowned brands like National Geographic, Spotify, adidas, Pinterest, United, and The Infatuation. Each year's event implores its own distinct identity, which aligns with a theme. 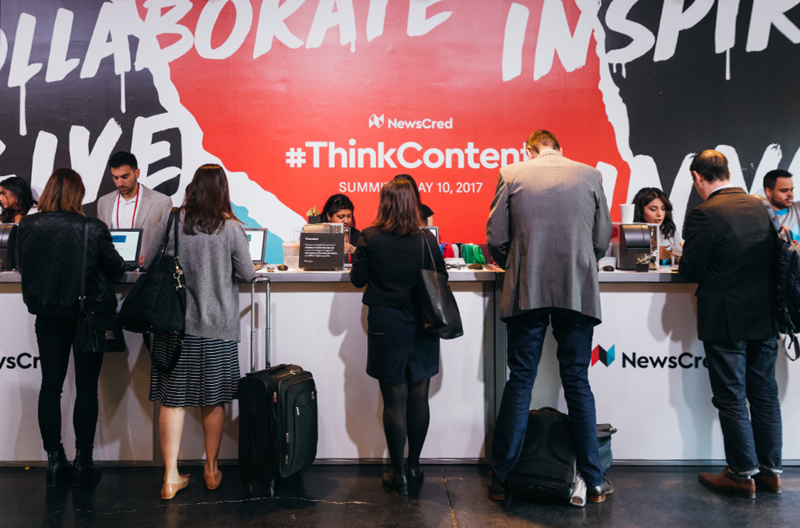 2017's theme, The Marketing Revolution, yielded some amazing creative assets. 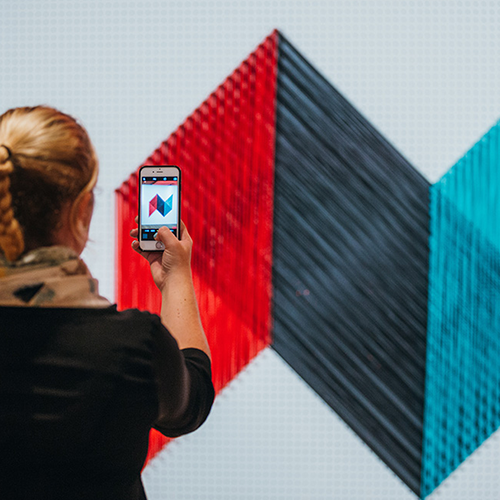 In addition to stage graphics, print collateral, name badges, installations, signage/wayfinding, and software demos, we also created a set of six 24"x36" posters with custom frames that were splattered with Pantone-matched blue and red paint. 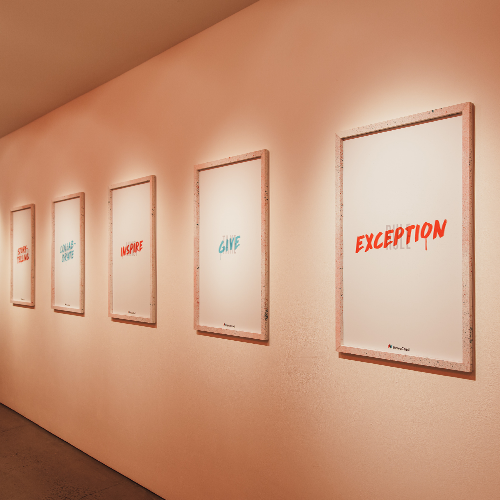 Each poster featured a negative traditional marketing term in the background with an inspirational positive term overtop. They were hung in the hallway that led attendees from registration to the main event space and illuminated by subtle but dramatic red overhead lighting.